The MJX F48 is a 4-channel, fixed pitch, flybarless helicopter. 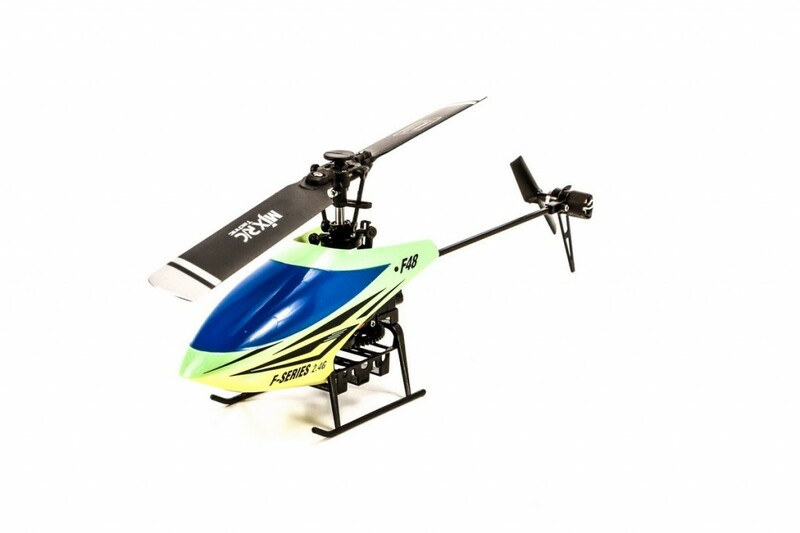 Designed and manufactured by MJX, the F48 seems to be toy-like but is actually a hobby-grade RC helicopter. The F48 comes in a neat and well protected package that contains 1 F48 flybarless FP helicopter; a 2.4GHz transmitter with tri-rates, LCD screen and throttle limiter; 2 3.7V 380mAh 20C Li-po batteries; main and tail blades spares; a warranty card and instruction manual. It is a compact mini RC heli with a dimension of 27 X 24 X 8.5 cm and a weight 52gms. The battery has a charging time of 6o minutes with a flight time of 7-8 minutes. 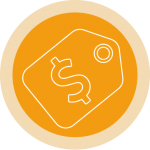 The transmitter has a controlling distance of around 150 meters. 2.4GHz spread spectrum technology. The spread spectrum radio control has strong anti-interference ability, rapid response and small power consumption. It has 4 play modes of moving up/down, forward / backward, flying left / right, turning left / right including the option to set the parameter of the throttle control curve. Based on some reviews, the F48 does not respond well to circuits as it was hard to keep take-off and land in a satisfactory manner. Some experienced, RC heli hobbyists say that they barely do a circuit. Doing turns was quite challenging. When replacing brushless motor component the throttle stroke has to be reset. This process will prompt the ESC to remember the throttle’s output signal as original signal and will respond the same way when the same signal is received. The MJX F48 is well-built and fitted with a durable and strong tail hold. The motor has plenty of power and transmitter is easy enough to manipulate. The canopy is solid. The frame and head design tough. The landing gear is sturdy. The flight characteristic of the F48 could do some improvements. 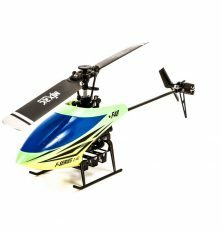 At turns, the F48 RC heli has the inclination to slide heavily. It cannot handle the wind 100%. The transmitter, though apt in functions, has a generic and mediocre built. The instructions manual is of little help. There is no doubt that the MJX F48 is a sleek and smart RC heli but its being flybarless was of no good. Flying this heli is not for beginners as it takes some skills and a lot of experience to control and fly the F48. Even a “pilot” with experience in fixed pitch heli might find flying the MJX F48 a handful.